January for me is a time for hope and reflection; hope that the year to come will be filled with good and happy times and reflection on the previous year’s highlights and what I learned along the way. Rather than dwelling on the difficult or sad moments of 2016, I look back to my trip to Zimbabwe to see the work we are doing through Tariro UK, to feel inspired and grateful. I became a trustee just under two years ago, and as much as I had the utmost faith in the charity’s purpose and the projects we support in Zimbabwe, as well as in my uncle, Father Nicolas’s leadership of it all, nothing beats seeing it first-hand…especially when it exceeds expectations! My visit to the projects and young people in September convinced me we are doing a fantastic job; what we do and how we go about it are absolutely the right thing for Zimbabwe and the young people we support. There are a lot of charities out there that fund feeding programmes, or for example all the children in one year of school (e.g. final year of primary). While they’re not without merit, when the funding or support dries up the children are left in arguably a worse of place than they were previously: their hope is taken away. I love that we know all the names of all the young people we support; that we know their academic strengths and weaknesses, their hopes and ambitions; and that it is possible to see them improving and indeed thriving from month to month. A simple thing like me spending 15 minutes with Rejoice (a form two girl in the Eastern Highlands) going through her school report, which may seem like a mundane task or even chore to a 14 year old in London, turned on a light in her face which I will never forget. I understood how imp ortant it is for the young people we support to know someone cares for them and what they achieve. I met Nyasha, 16, who has had a very traumatic childhood but is now in Lower Sixth, living with an aunt and doing very well at school. 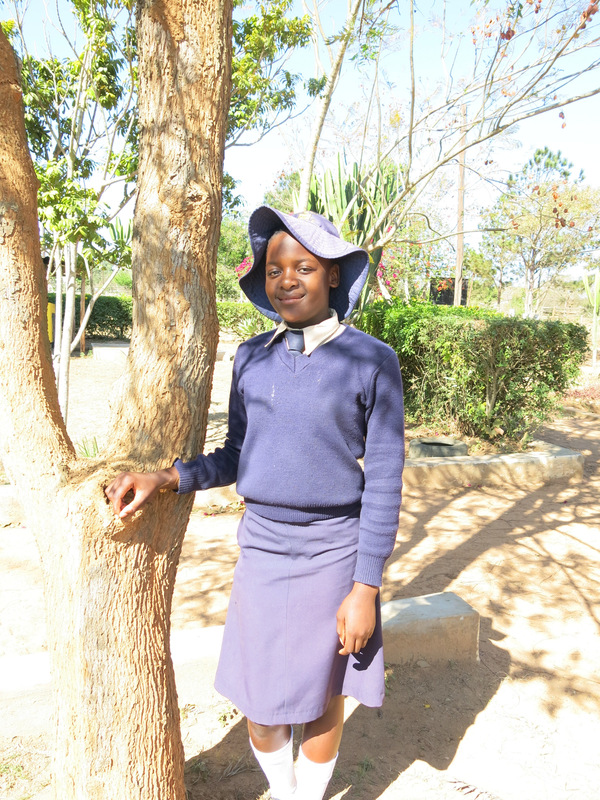 She wants to qualify as a lawyer so she can help girls and women in difficult situations. When I asked her how she was getting on and if she needed anything, the only thing she requested was a solar lamp so she could do her homework after dark (6pm in Zimbabwe) as her aunt’s house doesn’t have electricity. I was humbled, especially when I thought of my own birthday or Christmas wish list when I was 16. 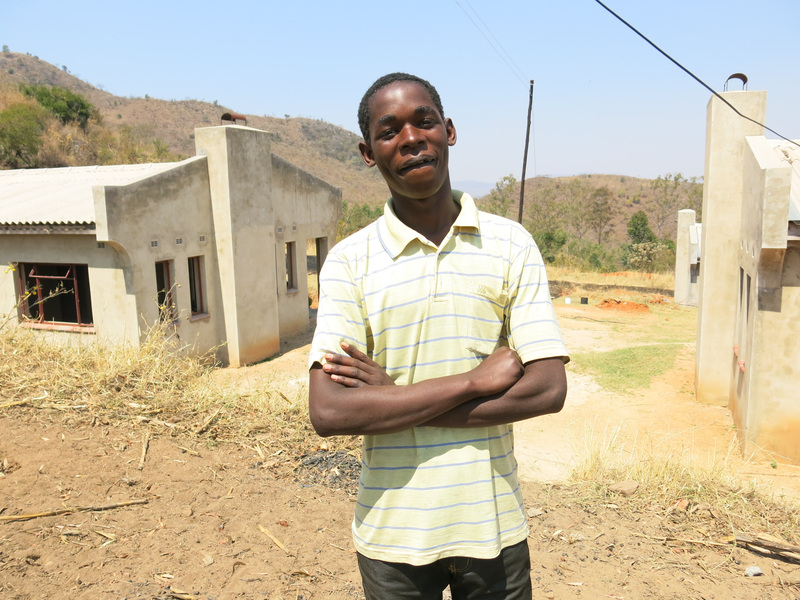 Maphosa is a wonderful young man, with a face that transforms when he smiles. He and another boy, Alban, will start a chicken-rearing project. They left school last year without good academic results but with lots of enthusiasm, so they need projects that can support them in life as well as support their local area and environment. It’s wonderful that we can continue to help those with the will to succeed in life, even if they are not suited to study. I will keep these and the other young people I met in Zimbabwe in mind and in heart throughout this year, as I’ve no doubt they’ll continue to succeed and be people we can be proud to be associated with. Thank you for all you do to support us, it means more than you can imagine to young people who would, without it, have very little indeed.